I have friends who are expecting their second later this year. 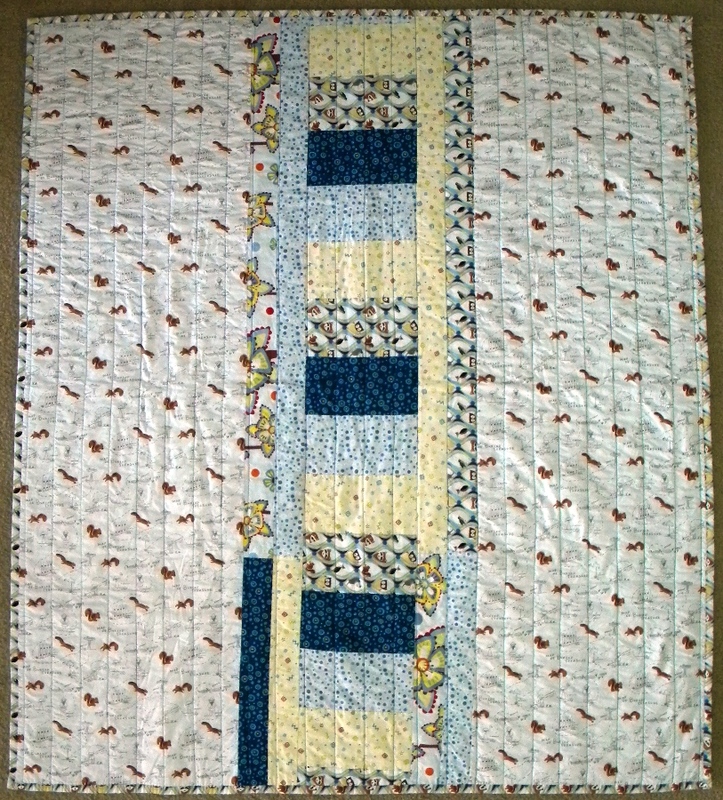 Since I made a baby quilt for their first, I was excited and honored that I got to make a new baby quilt for them! My brother came out to visit at the beginning of June, and he was gracious enough to go fabric shopping with me during his stay. He saw the fabric to the left and encouraged me to build the next baby quilt around it. 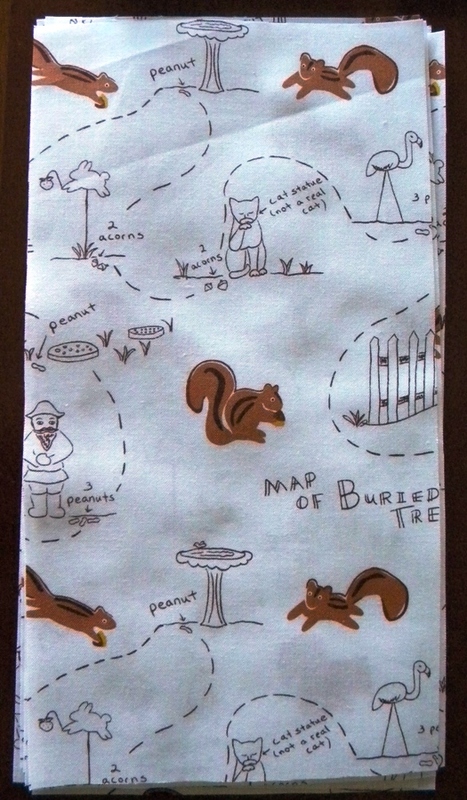 It is from the “Frolic” fabric line and I couldn’t resist his suggestion. 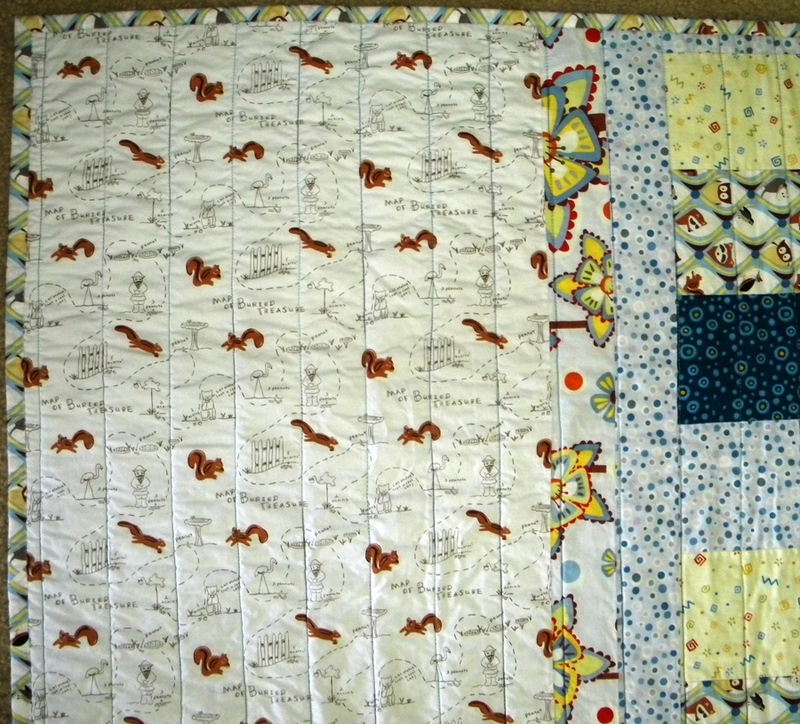 I have wanted to make some version of an “I Spy” quilt as a baby quilt for a while now. The concept is really very simple, just make 2 of the same basic block pattern so that when the child is older they can match them up. I had a lot of the fabrics left over, so I also made a nice pieced back. 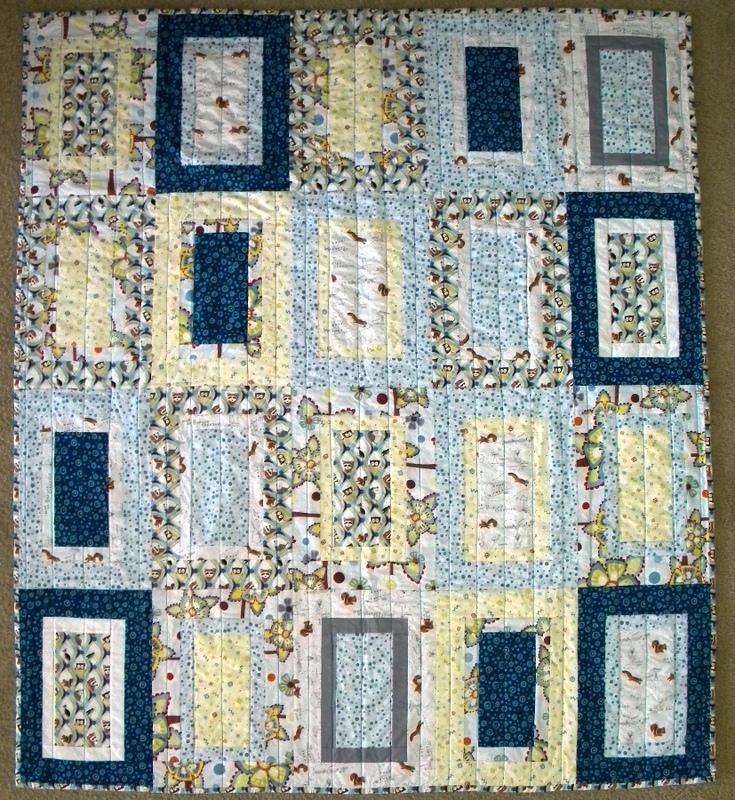 All in all, this was a fun and simple quilt that I hope the family and new baby boy will enjoy.